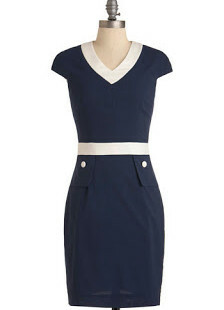 Luxetips Style: Modcloth: Deep Blue Wonder Dress « LUXETIPS! | Every Woman Deserves To Live The Luxe Life! Despite turmoil, find joy in the simple things: the beautiful sun, clear blue skies or a gorgeous flower. When I am down, seeing my kids laugh and knowing they are happy makes me glow inside. This dress is SO ME. I want it badly. It is Modcloth’s Deep Blue Wonder Dress and it is perfect for pic-nics in the park, Sunday Brunch, for work with a white fitted blazer, and for after-work soirees with heels. Love it. It is so versatile and neutral enough that it can go with just about any accessory. Red pumps, colored tights, or bold jewelry. This dress reails for $107.99. But hurry. When Modcloth has a hot item, it always sells out fast. @Beauty.Style.Growth Yes it is. Thank you for commenting.